I spent some time in Gruene Texas (near New Braunfels) last weekend. Gruene is kind of a touristy place north of San Antonio with a wine and antique theme. It is also common to see tubers floating down the river, but I think it was still a bit cool for that in early March. I walked down by the river to see what there was to photograph and found a lot of birds hanging out the morning sun along the river. I think the birds are called cormorants. 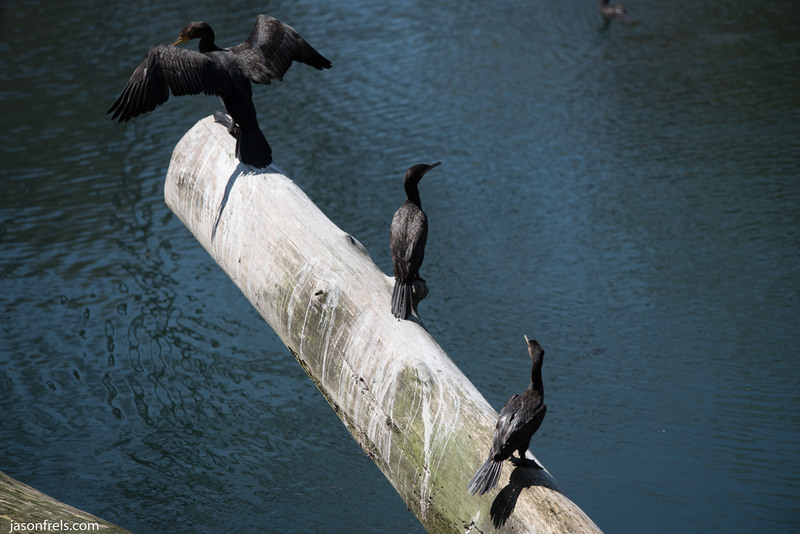 I can’t tell whether they are double-breasted cormorants or neotropic cormorants. From what I have read online, both of these species are common to Texas. I think that these are probably the neotropic cormorants because I think that the double-breasted cormorants have gone up North to breed by this time of the year. But, I don’t know, I was just enjoying taking photos of them. 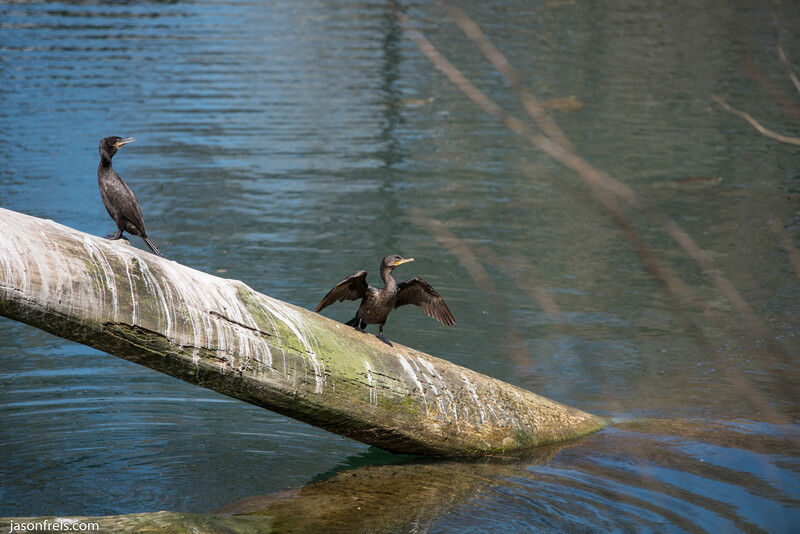 They did seem to enjoy perching on this dead tree and airing out their wings or perhaps cooling down (pun). It is evident that this fallen tree is a popular perch for these birds. There were also a lot of turtles, but most of them would jump in and swim away before I could get anywhere near them. This was all shot hand-held, from the river bank with a 70-200mm lens using image stabilization and autofocus. Autofocus is definitely not as easy with the Sigma 70-200mm lens as it is with the Nikkor 24-120mm lens, but I got acceptable results. 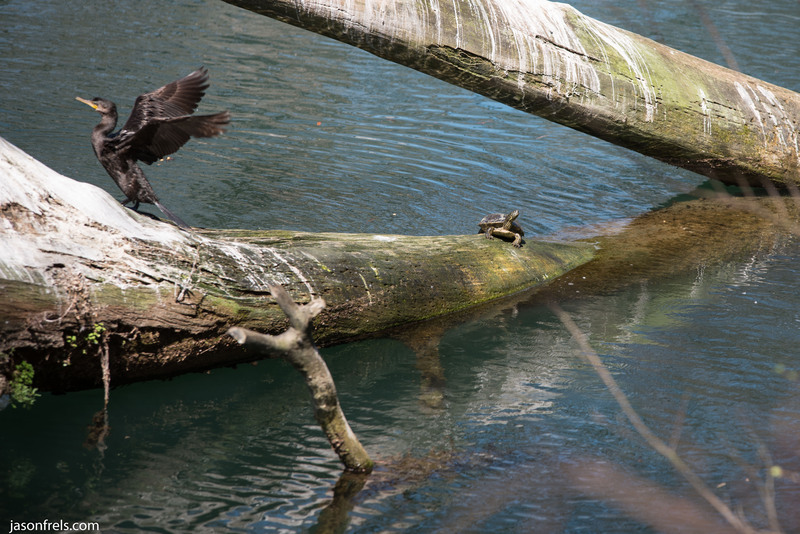 It is important to note that in the above photo, the turtle is the focus point rather than the bird and this was shot at f/3.5. 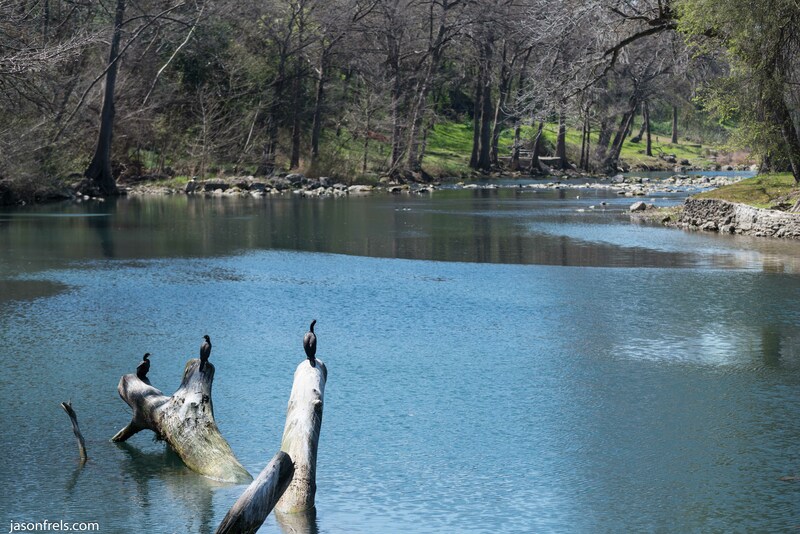 I thought about a polarizer to knock down the reflection in the water, but I think that the blue sky reflected in the river helps the birds to show up well in the scene. I took more photos, including an amazing sunset which I will post soon. Thanks for reading.